Shopping for LEGO Construction Toys? A whole suitcase of LEGO fun! The pink suitcase includes a blue bicylce, two figures, a cat, and tons of pieces to assemble some buildings for a day of fun out on the road. What's even better, the set has a pink plastic suitcase with which to store your fun while you take it anywhere you go. 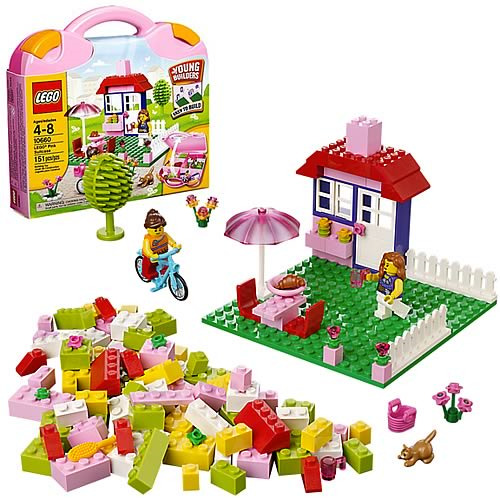 Comes with 151pcs and is for ages 4-8.